Winter is here, and now is a great time for a ski vacation with the family! If you’ve never taken the kids to a ski resort for a family vacation, Travelocity Senior Editor Genevieve Shaw Brown shares some great tips on how to have the most fun, and stay safe. Also check Genevieve’s post on the Top 5 Ski Resorts For Families to find the best place to stay. 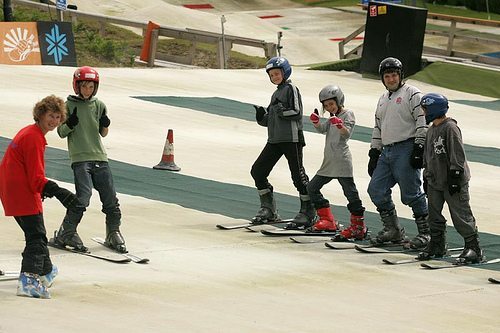 · If this is your first family ski vacation, or you’ve done it before but your kids are still beginners, make sure the mountain has enough terrain for novices. · Keep in mind skiing is effort and your kids may not be up to doing it every day. Pick a resort with other activities on the mountain or nearby. · If you have a baby and plan to use day care, make sure they will take your child. Some don’t take kids under two years old. · Lead by example. Your kids may scream over wearing a helmet, but things will go much smoother if they see you wearing one too. Even if the ski school doesn’t require the helmet, this point should be non-negotiable – helmets greatly reduce the risk of brain injury. 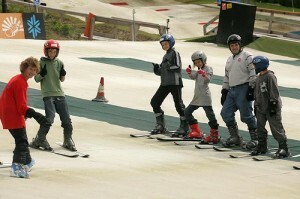 · Reserve ski school ahead of your trip – they can sell out, especially during school vacation time. · Don’t forget to factor in the cost of checking skis on your flight. Do the math and see if it makes more sense to rent equipment on location.